6' x 12' EZ Load Drop Deck Trailer lowers hydraulically to the ground to make loading easier and safer. The trailer deck remains completely level as it raises or lowers hydraulically in less than 30 seconds. At ground level you simply drive your equipment or push your load onto the trailer. It is especially useful for equipment with poor traction or low ground clearance even in wet weather conditions. 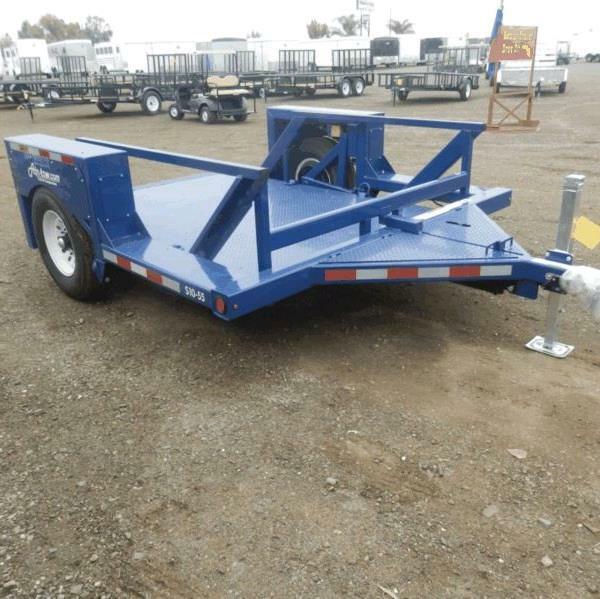 Trailer deck size is 6'3" x 12' including 18" ramp with 24" sides & side swinging removable tail gate..
TRAILER HAS ELECTRIC BRAKES AND REQUIRES AN ELECTRIC BRAKE CONTROLLER IN TOW VEHICLE TO OPERATE. 7 WAy Blade Connector. * Please call us for any questions on our trailer drop deck 6 foot x12 foot 5k rentals in Portland OR, Gresham OR, Milwaukee OR, and surrounding metro area.